Great Bolgaria of the early Middle Ages, which in the course of history became the Kazan Khanate and contemporary Tatarstan, was a powerful and developed state, trading with all the known world. Bolgar leather goods and furs reached not only the countries of the East, but also Lithuania, Poland, Italy and Flanders. The Russian historian S. M. Solovyov, who described the enlightened civilization of the Volga Bolgars, "a trading and industrial people", wrote: "In times long ago, when the Russian Slavs had not yet begun to build Christian churches on the Oka and had not yet occupied these places in the name of the European citizenry, the Bolgars were already listening to the Koran on the banks of the Volga and Kama rivers". From the 10th century, the Volga Bolgars minted their own silver coins with Arabic inscriptions: eloquent testimony of the level of development of internal and foreign trade. 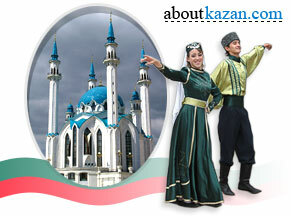 The ancestors of the Kazan Tatars were the first in Europe to begin to smelt high-quality cast iron. The Bolgar towns between the rivers Volga and Kama were noted for ferrous metallurgy, pottery, gold and silver working, and the production of leather goods. In Central Asia and Iran the best leather and leather footwear is called Bolgar since that time. From the tenth century, Bolgar builders erected stone and wooden mosques, schools, palaces, caravanserais and civic buildings with central heating and plumbing systems. 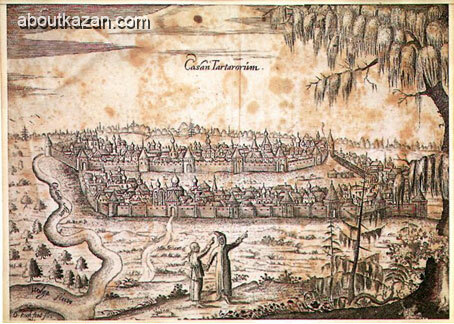 On the territory of Tatarstan, large towns arose: Bilyar, the second largest city of Volga Bolgaria, occupied an area of 530 hectares at a time when Russian Kiev covered 150, Vladimir 160 and Paris 439 hectares. In 922, after direct diplomatic talks with Baghdad, Volga Bolgaria accepted Islam, and the ancient Turkic runic writing was changed to the Arabic script. Science, philosophy and literature developed. The first important written work of Bolgar literature, the immensely long poem by Kul Gali entitled Kyssai-Yusuf, is dated to 1212. The language of this major work is remarkably close to the modern literary language of the Kazan Tatars.